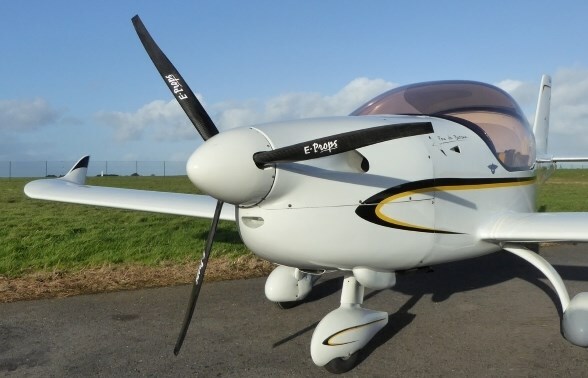 At E-PROPS, we are using the term "ESR effect" (Extended Speed Range effect) to define a fixed pitch propeller (or ground adjustable pitch one) which behaviour is very near from the behaviour of a variable pitch propeller. This ESR effect has the following characteristics : it causes very small gap between the static RPM and the flight RPM, and this allows to keep a strong power at take-off. It means that the max throttle RPM stays nearly constant. In this case, the gap between 0 km/h and 200 km/h is only 100 RPM. For comparison purposes, a standard propeller (not ESR) can have a gap up to 1000 RPM between take-off and max cruise speed. - a propeller without ESR Effect will have between 600 and 1000 RPM less at take-off, and its thrust will be lower than 185 kg. 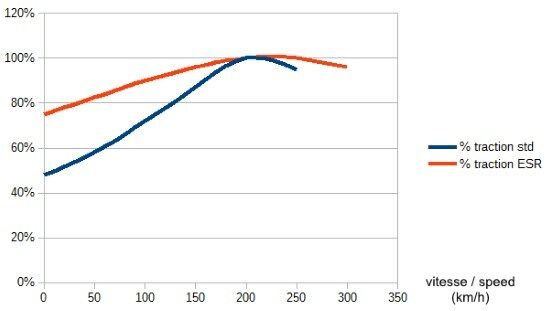 The ESR effect can improve the performances at take-off, because then the engine is running very near of its max RPM, and provide all its power during take-off. In the case of stalled blades, the loss of performance may be higher than the power gain. 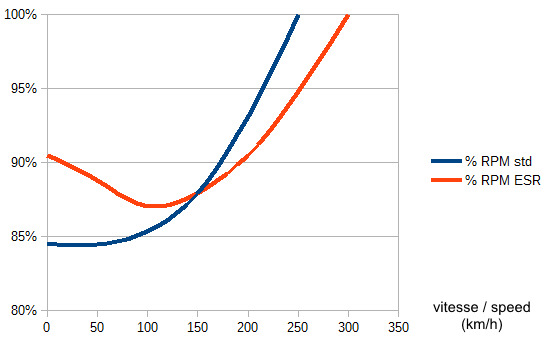 Therefore, optimization of the curve "max traction / speed" is essential when designing the propeller. It also means that, on E-PROPS, the static thrust is not an important data. 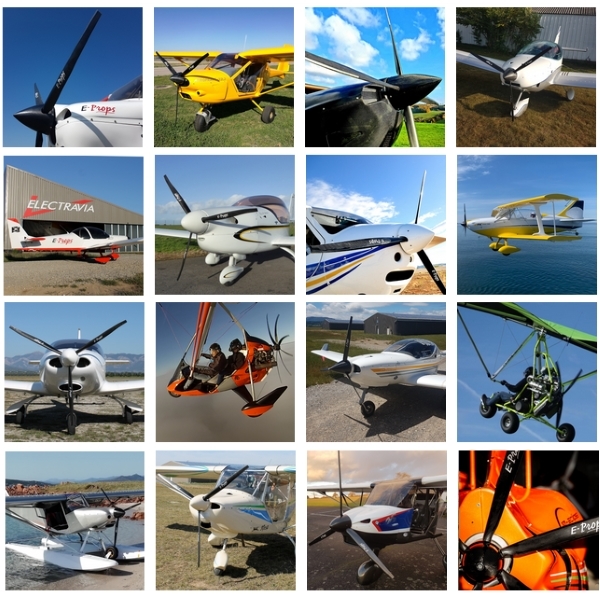 Thanks to their geometries anf their profiles, the E-PROPS have a very strong ESR effect, which allows to considerably improve the performances of the aircraft at take-off and in cruise, in comparison with all standard fixed pitch, and even with some variable pitch propellers.